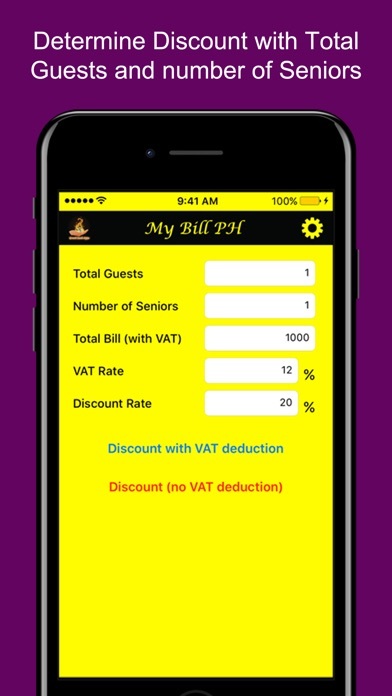 My Bill PH is a simple discount calculator that is based on R.A No. 9994 of the Philippine Law or the "Expanded Senior Citizens Acts of 2010." 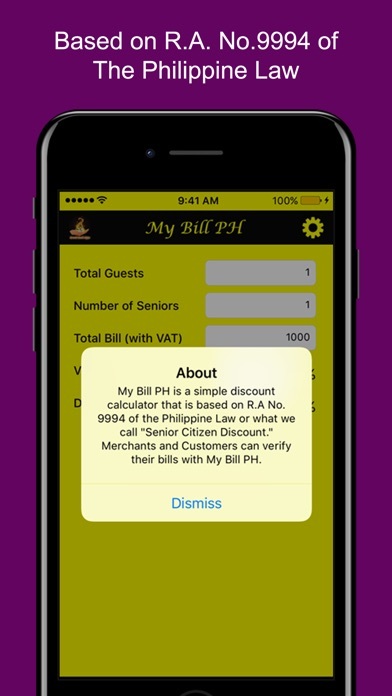 Merchants and Customers can verify their bills with My Bill PH. 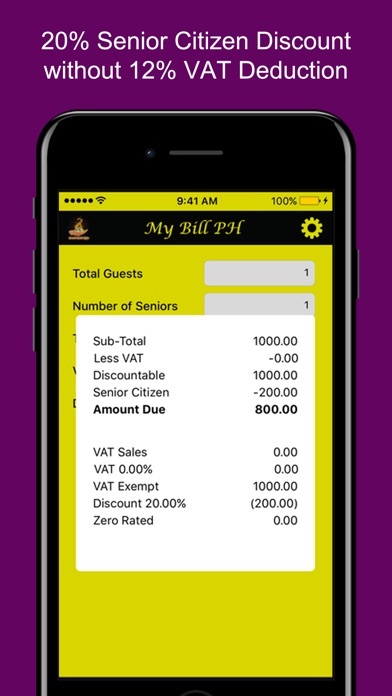 My Bill PH is easy to use, just enter the Total number of guests and the number of seniors within the group, enter the total bill amount and check discounts with or without VAT deductions. 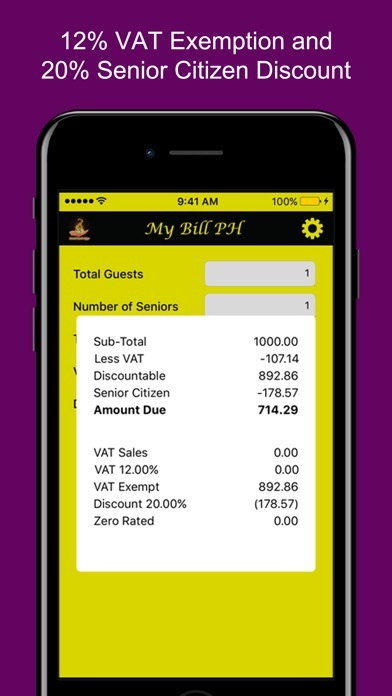 Prices and Bills here in The Philippines already includes 12% VAT. Enjoy!